Empire Of The Sun last released an album three years ago when they came out with their debut Walking On A Dream. Hard-pressed to match the success of their smashing debut, Empire Of The Sun took an old school approach by really taking the time to make a full record. Minimal touring, and heavy studio time. The result was the feel-good record of the summer in Ice On The Dune. The album is an enchanting ride through the magical world of Luke Steele and Nick Littlemore's imaginantion. The irresistable hooks and extravangant nature of the record (which is best felt live, no doubt!!) 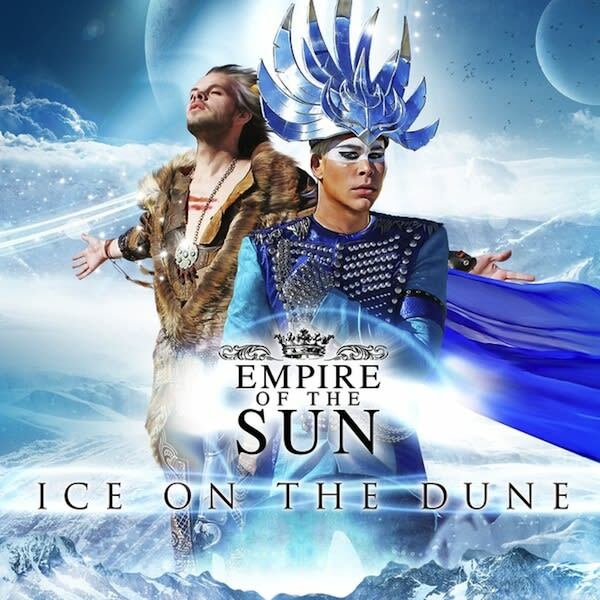 made Empire Of The Sun's Ice On The Dune a must get this year.